More than a decade ago cameras were integrated into devices that had nothing to do with photography: cellphones; today another change of paradigm is happening, sensors are entering in products we wear. A blue ocean of new design possibilities is ready to be fully navigated. In this scenario there’s no more reason to create the umpteenth cool wearable device that will remain a rendering on kickstarter. Probably it’s far wiser to focus on creating a tool that will allow a company to start an innovation process to succeed in the long run. 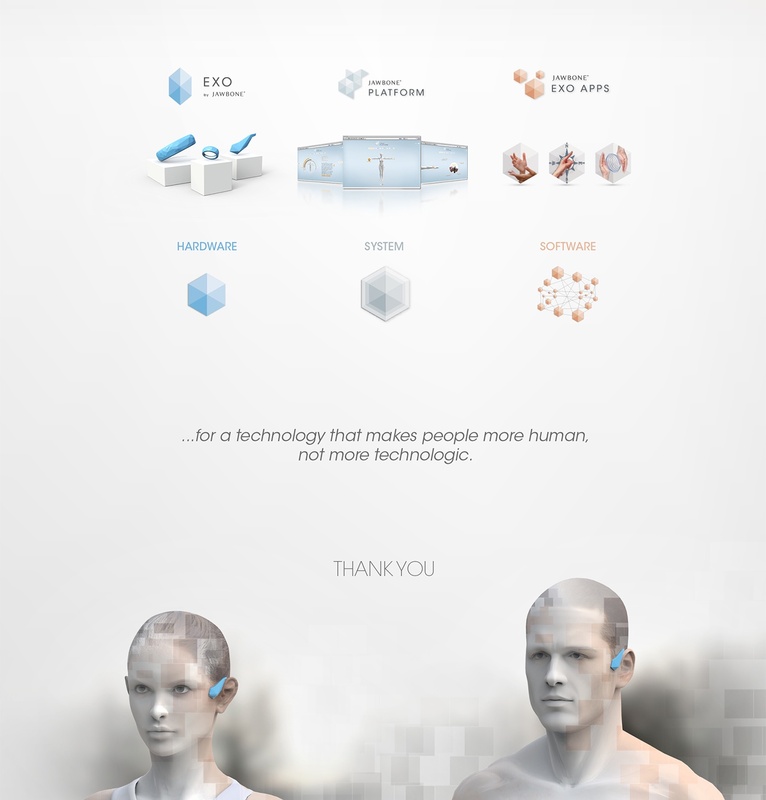 An ‘environment’ where products, softwares and experiences can grow together, shaping the future of wearable devices. In the next years we will find an increasingly smaller and invasive technology, therefore this technology will necessarily have to interact with the body in a far more subtle way. How is it possible? Well, a good point will be starting to not use the already overloaded visual channels, capitalizing on the other hand on new possibilities to transfer informations to the body. This will have to be a technology able to respect the sensory nature of the self. A self that won’t be just ‘quantified’, but whose natural possibilities will be implemented and augmented by sensors and processor over or even underneath our skin. 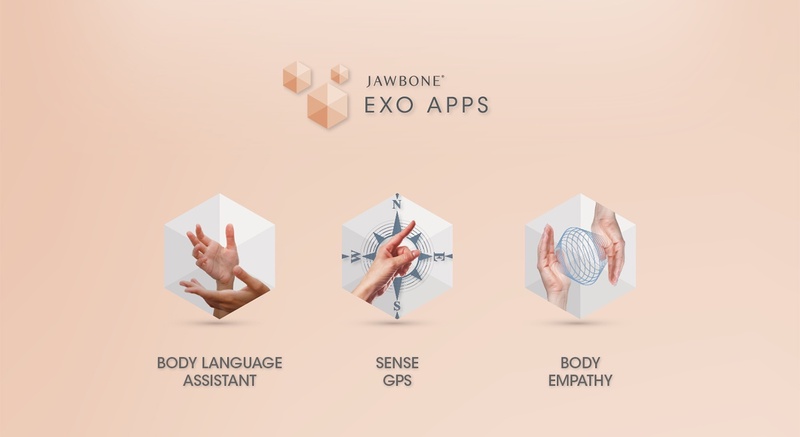 Exo Ecosystem is not about simple wearable devices, it is a ‘tool’ for a company, useful to innovate and succeed in the long run. It’s about the creation of an environment, where products, ideas, applications and user’s community can grow and evolve together. 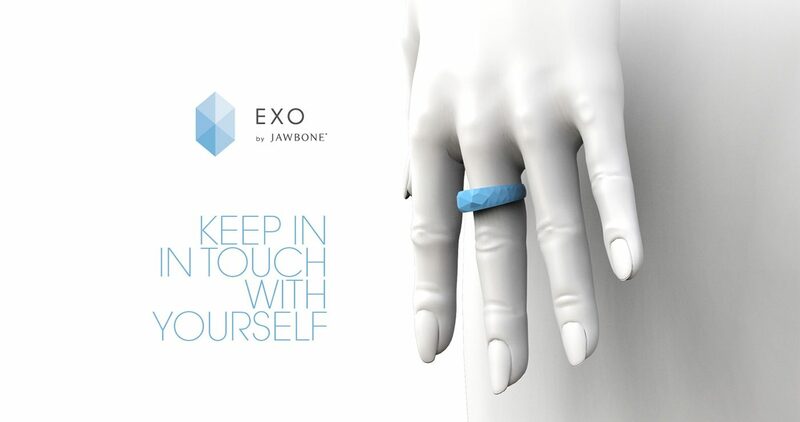 Exo by Jawbone is its first component. In the future, what wearables will do will be decided by apps (as happens for smartphones today). 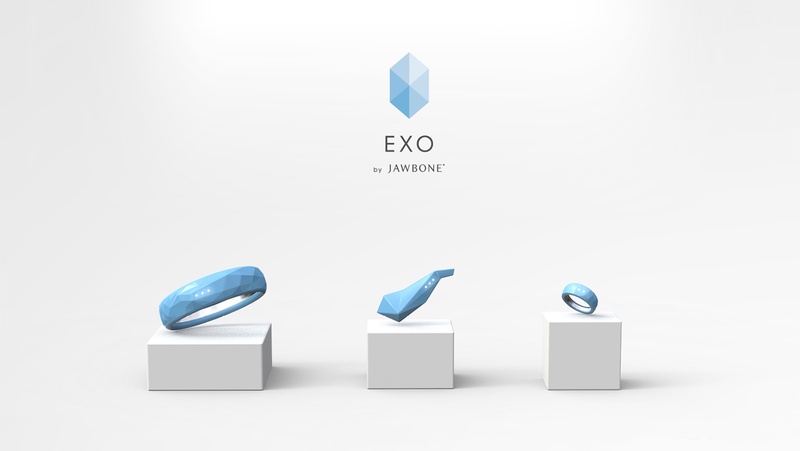 This is why Exo products don’t have pre designed functions, they are concepts and ideal products that will be perfected and implemented with the functioning of the Ecosystem. 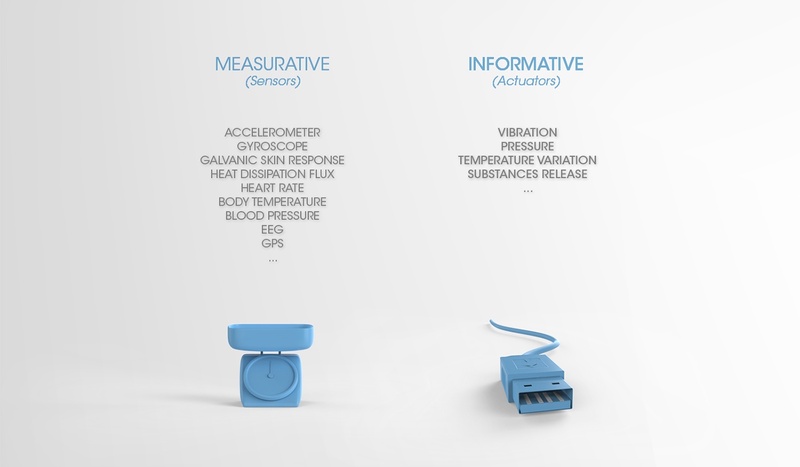 Even having unspecified functionalities they want to point out the necessity of wearables to evolve from something that just ‘quantifies’ the body, into something able to communicate intimately with it and sensing things itself. 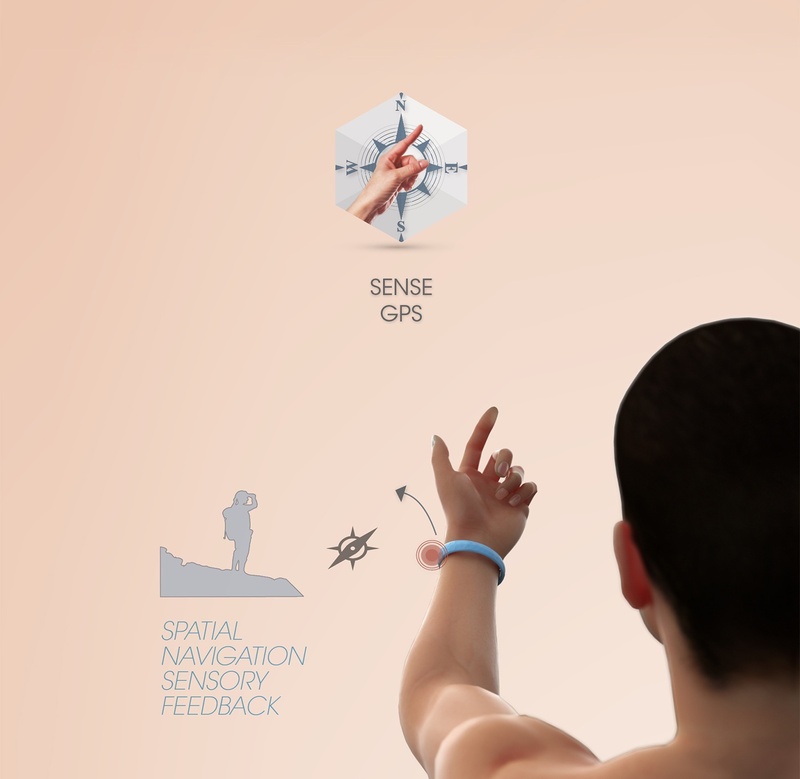 Wearables in the future will be like an external artificial 6th sense. An ‘Exo’ sense, in fact. The creation of an active community is one of the most important aspects for a company’s success. 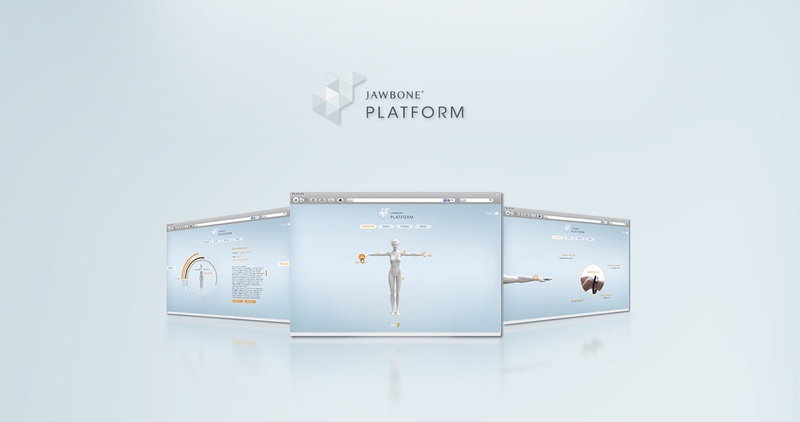 Jawbone Platform does even more as it lets the community shape the innovation for wearables. 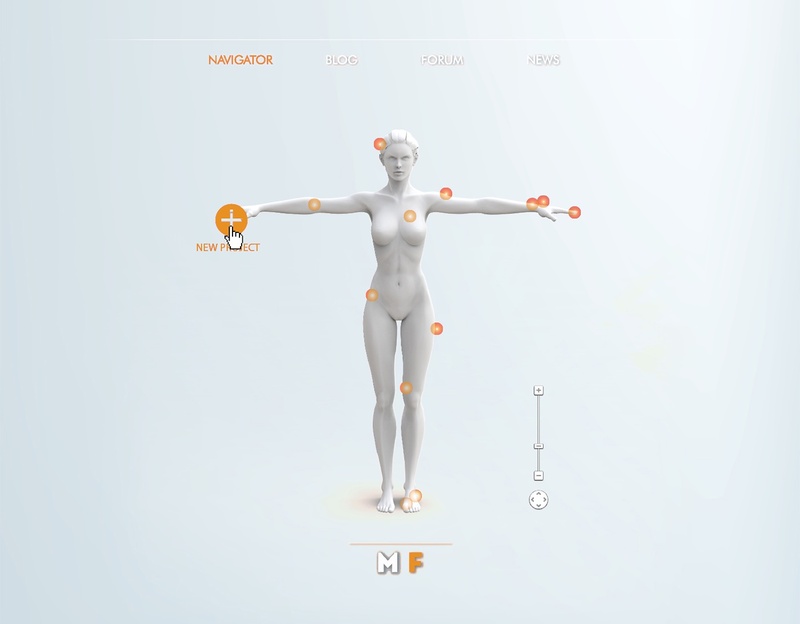 Its 3D body navigator lets users conceive projects directly on the body. In order to innovate we need to start focusing on the body itself and to do so we also need different professionals to cooperate. 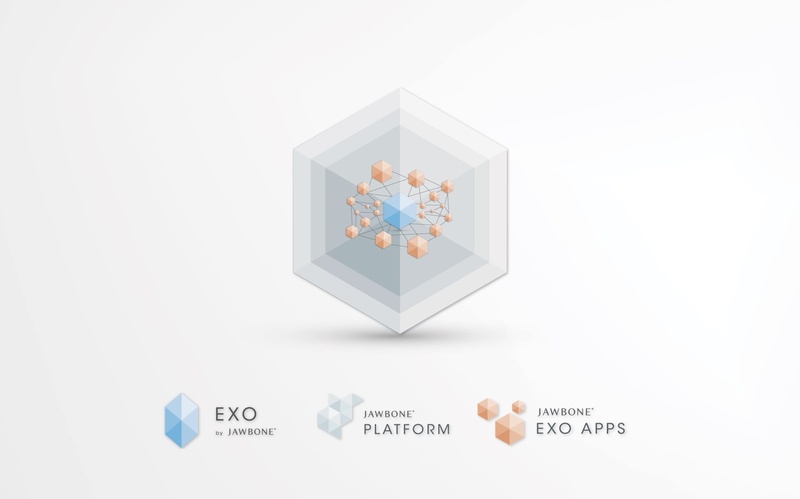 As people works on a single project, its advancement affects the entire ecosystem towards two directions: first of all describing which hardware components needs to be integrated in devices and second, it lays the bases for the development of a mobile app that will control the hardware. 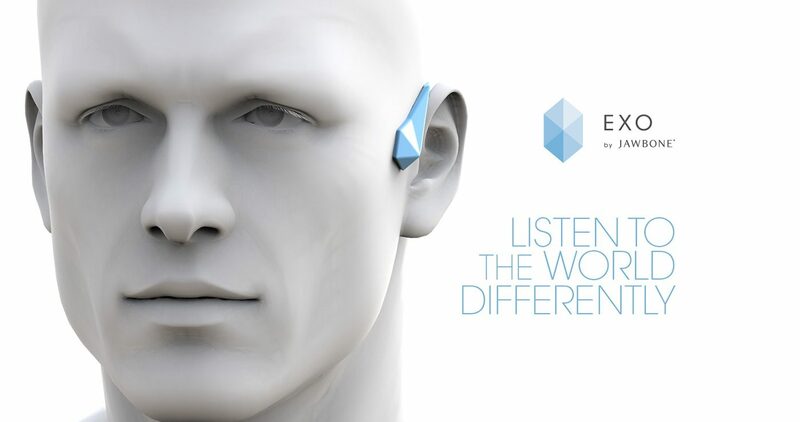 More complete and interesting projects in the platform are then converted into wearable apps. 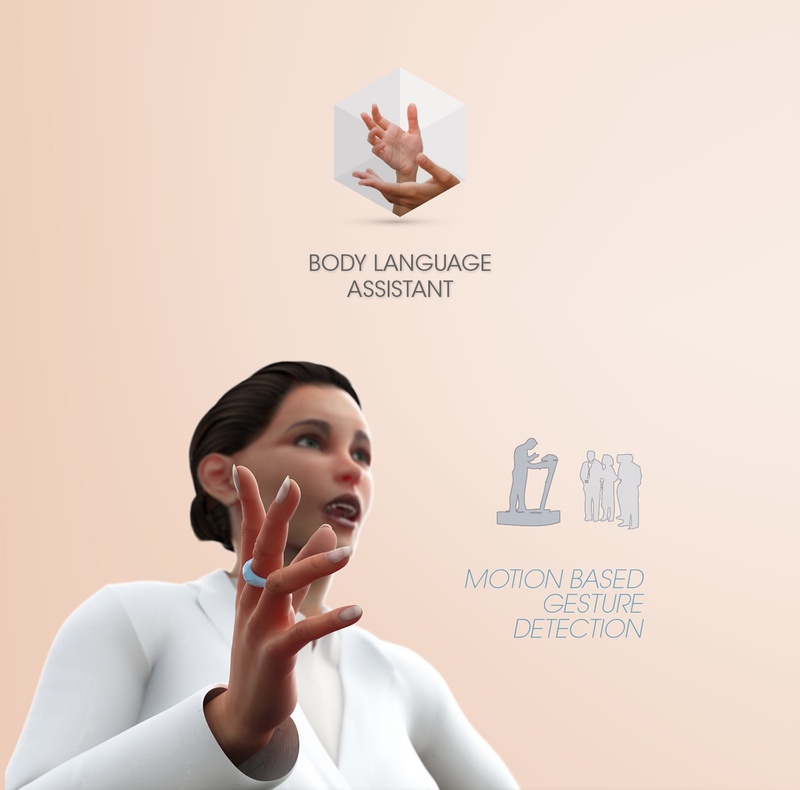 For instance, in a project on body language in the platform psychologists pointed out which kind of gestures are important to be monitored, technology experts suggested ways to capture gestures and ways to transmit direct instructions (using vibrations in this particular case) to the user. The phone screen was indicated as an interface to visualize body language patterns and behaviors. Other possible apps could be a sensory navigator, maps that give directions not through a screen but buzzing users’ arm. 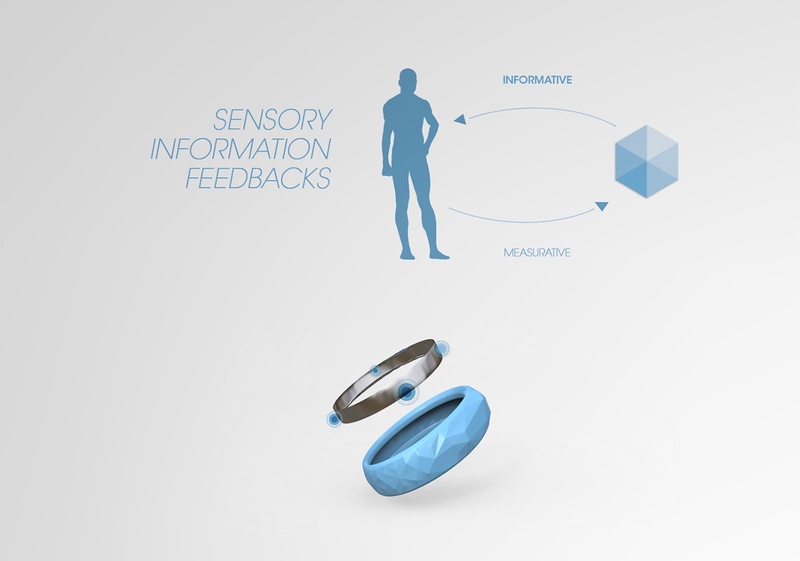 Or the Body Empathy app, with wearable devices capable of capturing emotions and sharing them though sensory notifications based on temperature. Even other 4 senses beside sight are important channels through which technology can transfer informations, we will use them more and more in the future of technology.